Our Ticket vending machines offer reliability, ease-of-use, and low maintenance. Solid steel construction encases easy-to-run, dependable mechanics assembled right here at American Games. Features include increased vending speed, step-by-step keypad programming, detailed printed reports for outstanding accountability and nearly the smallest footprint of any machine around. Security features include: confidential PIN numbers for both managers and employees, and multiple lock access to the inside, which is also armed with an alarm. 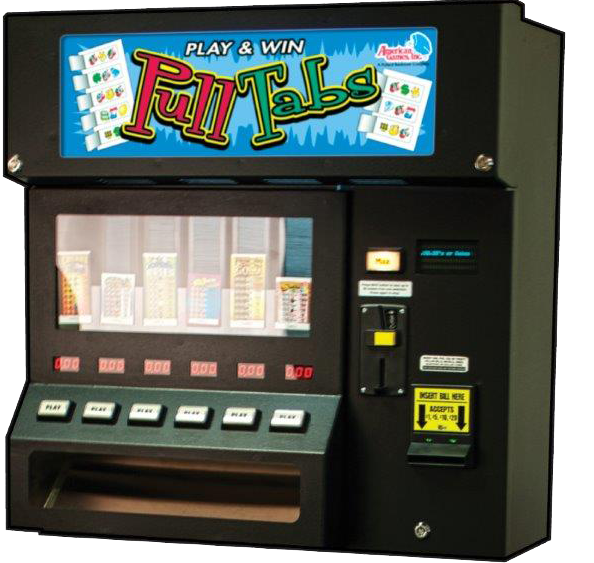 Also includes: interchangeable columns that accommodate various ticket sizes; exclusive Automatic Bin Timing for precise ticket vending, front-door alarm, a newly designed back lit display panel and much more. Mounts to wall or optional locking cabinet. And our entire MAXIM line is backed by a one-year warranty that ensures smooth operation.